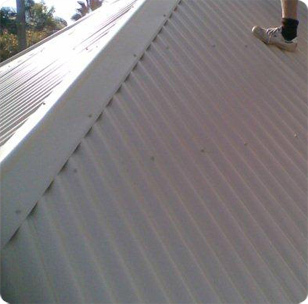 Tandem Trades - Professional fascia and gutter installers Sydney, specialise in fascia gutter installation and guttering solutions for all residential, commercial and industrial metal roofs in the greater Sydney region. We source and install a wide range of residential, commercial, industrial metal guttering, downpipes, flashings and drains in contemporary colours and materials to bring the final flourish to your metal roof and so that you can take advantage of the durability and good looks that quality metal fascia gutter solutions bring to any property. As well as installing new fascia gutter solutions, the team from Tandem trades can also provide fascia gutter repairs, including guttering, downpipes, drains and water flow solutions. We are very experienced in insurance work and we pride ourselves on quality workmanship, efficient service and competitive pricing. Regardless of the size of your project, you can rely on Tandem Trades - Professional metal roofing specialist, to give you a quality finish at the right price. For an obligation free quote and evaluation of your fascia gutter installation and repair needs, please contact us today. Call Mick - Licensed and fully insured metal roofing expert contractors in Sydney on 0439 417 147 or send us an online enquiry. enquiry.